America's favorite queer-led boy-band, BROCKHAMPTON, is best known for their critically celebrated music, combining razor sharp wit, biting cultural commentary, emotional honesty, and irreverent humor. But as any die-hard fan of the group will tell you, BROCKHAMPTON extends past the confines of their music making — it is an all encompassing umbrella for the collective's creative vision. BROCKHAMPTON has prided itself in presenting a cohesive visual story in all aspects of the band's output from cover art to music videos to merch. BROCKHAMPTON's last merch drop, the 'Gay Power' collection, was highly buzzed about selling out within minutes of it going on sale. It's the kind of hypey success that is typically reserved for limited streetwear collections from Supreme or OFF-WHITE, not band shirts that have "Gay" written in cursive font across the front. With the group's highly anticipated follow-up to 2017's Saturation trilogy, iridescence, due out later this month how does BROCKHAMPTON live up to the hype? By improving on past mistakes. 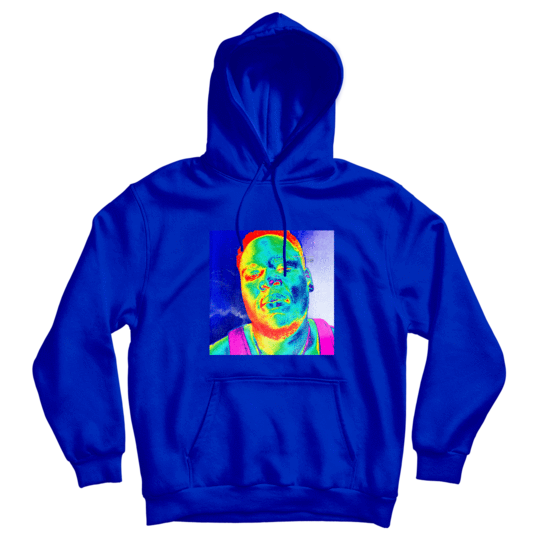 Their new iridescence line of merch is paired down to three items as opposed to the 20+ 'Gay Power' collection that spread order fulfillment thin in the face of high demand. The line is also more affordable as well ranging in price from $15-$25, which is a godsend for a largely young queer and POC fan base.